tLBCC: What makes you choose to sell your coffee to one roaster or importer over another? What do they do or can they do to earn your trust? 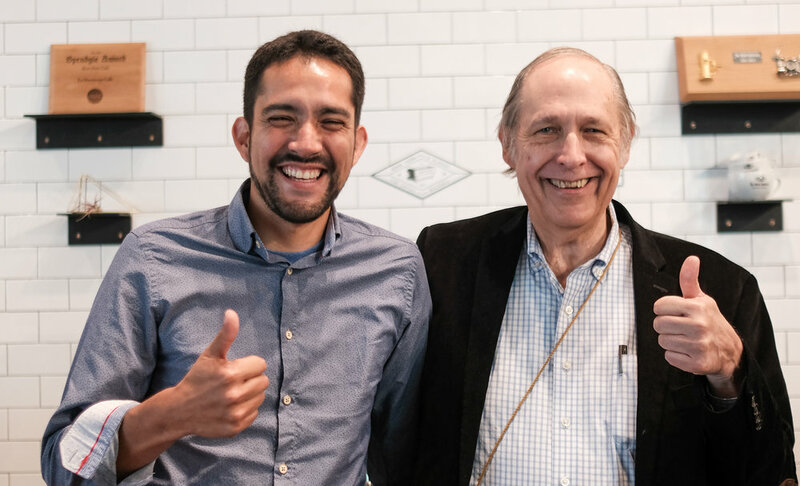 Raul Perez: Well, first of all, traveling all the way to Guatemala and making an effort to know the people who are growing the coffee is a good sign that they are interested in building some sort of relationship. This is a good step. The next step will be, identifying what type of relationship buyers are looking for. Is it a long term relationship where quality is built up over time—a two way street? Are they just looking for high-end coffees and a nice picture of the producers? Or do they need one Direct Trade coffee on their menu? It is hard to know all of this in a one day visit—where both of us want to show the best of both worlds. I also like to know a bit about how long they have been in coffee—what brought them into coffee? Is just some phase on their career? Do they have a passion for coffee? Do they understand coffee changes year by year? Do they like our culture? All of these random questions will give some information about if a relationship will work—or not. But at the end is a “leap of faith” where not always you or they are right to each other. tLBCC: What steps do you take to build trust with your partners? How do you ensure they can rely on you, your farm, and your coffee from year to year? Raul Perez: This is mostly a matter of time—you have to earn it. The key is having good communication skills. We have different cultures and timings. I have learned through the years that quality is very important in the market, but so are good communication skills. It's not easy to trust on either side of the industry—roasters and coffee producers—we have all heard bad stories. However, I believe there are more success stories that should be told. How can they rely on us? Well a good presentation card we have is our 6 relationships we already have with great partners in North America and Australia. Our coffee varies from year to year because it is an agriculture product, but our practices are very strict on the fields and in our processing facility. Also, we commit to quality first, and we spend lots of time at the farm trying to ensure that our process will meet the high-quality standards that our customers like. It’s not an easy task, but we try to make better and better coffee every year. Raul Perez: Yes, building trust is not easy. People have to realize that it is a matter of time—trust can be easily gained but it is very fragile. Trust is not about not making mistakes, but is about accepting responsibilities and making the changes that will help improve a given situation. I know this sounds very repetitive but having good communication is a MUST. Focusing on quality and trying to make improvements to systems and procedures will show that the commitment to quality is a reality and this will bring more trust to the relationship. Actions are better than words. We like to show commitment by implementing improvements to our systems instead of just saying we will. These improvements are reflected in the quality of the coffee we produce.